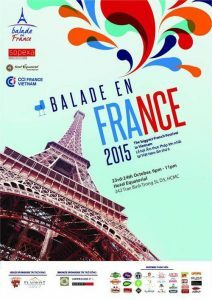 Organised by the French Chamber and its partners, “Balade en France“ (literally “strolling in France”) is an annual event promoting French culture in Vietnam. 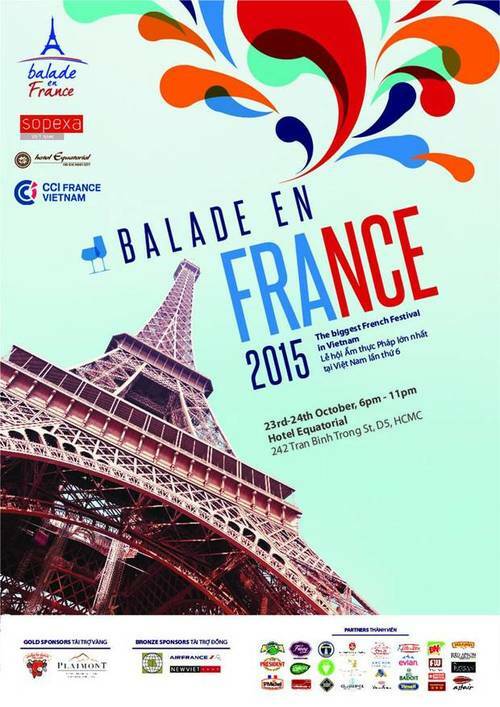 This last few years, it has become a quite popular Rendezvous for Vietnamese guests who enjoy French gastronomy. Besides original gastronomic menus, wines and artistic activities, visitors can buy at preferential prices food products imported from France including cheese, jam, bread, milk, chocolate and can listen to French bands playing live music. 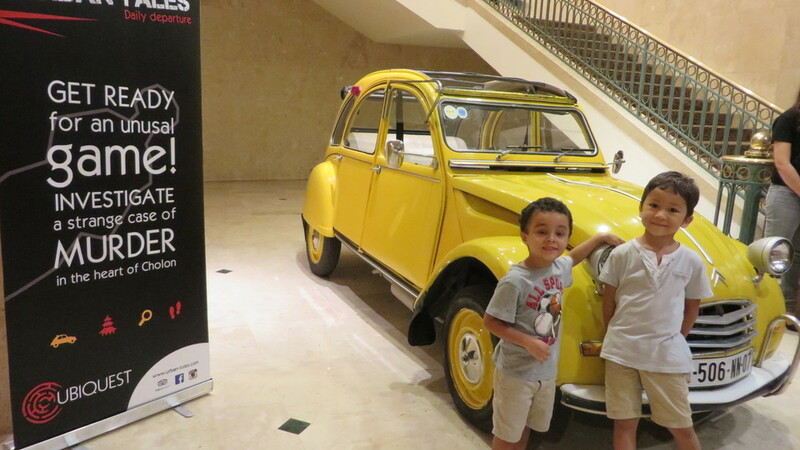 This year, as URBAN TALES will celebrate its first year anniversary in November, it was obvious that we had to participate somehow to this 6th Balade en France, bringing to this festive gathering our special French touch, our yellow 2CV! As you probably know (but maybe not if you are not French! ), the first 2CV was designed in France in the French post-war years in order to be an economical car for lower class; it then became the most popular French car with a reputation to go everywhere and in all weathers. It has a very strong French identity and it represents a certain lifestyle, mixing sense of humor, youth and coolness! We were extremely happy to be at this event with our yellow French mascot, offering the visitors to join our lucky draw to win 2 Free Urban Tales tickets! We hope that our winner will be delighted to try our Urban Tales investigation game, getting on board of our vintage cars to go to Cho Lon where the murder case starts! Get ready, if you want to dive into our unique game, book our self-guided tour and come and investigate the strange case of Dr Lam!